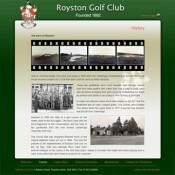 Web site designed and developed for the Royston Golf Club from the United Kingdom. This web site consists of two parts. 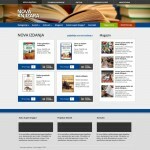 The first one is based on the Word Press platform and it is the main web site. The other one is developed specially for the members where they can log-in and view the latest news from the club. WordPress website developed for the SoundRay. SoundRay is the exclusive agent of many leading brands, L Acustic, XTA, MC2, DTS Lighting Microphones DPA.